1 /// Voting for Bloglovin' Awards 2016 is out, and my girl Gillian has been nominated for "Best Wedding Blog!!" 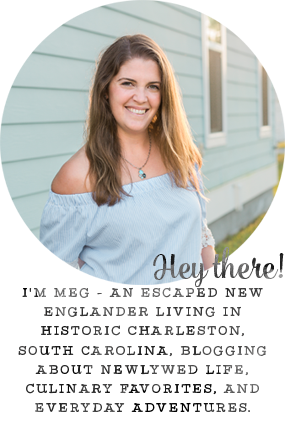 Please take 5 seconds and vote for her blog, Coastal Bride - it's the very last category in the "all categories" dropdown! 3 /// Speaking of moving, we are officially out of our apartment. We had a 6-week overlap to move slowly, and it's worked great to not have tons of boxes stacked everywhere. Such a relief to have everything we own in one place. 4 /// I promise to have some real blog posts for y'all next week! I'm working hard on new ideas, but I sure could use any ones you might have - anything special you'd like to see on Borrowed Heaven in the next few weeks? 5/// Mike, Rebecca, and I are headed to Savannah on Sunday to explore. 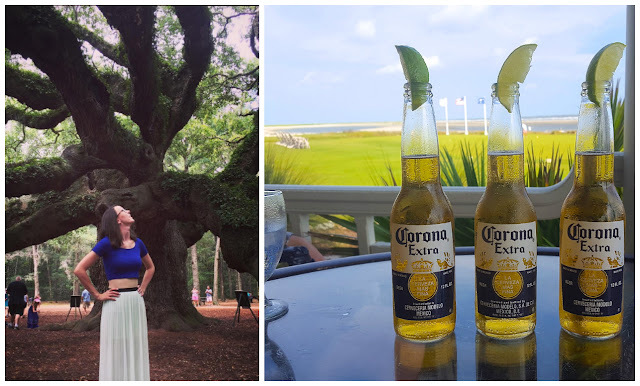 We've been her tour guides all week to check out everything Charleston has to offer, and she really wanted to see Savannah for the first time, so we've turned the tables and she's been looking up tons of fun things to do. Anyone have any must-dos? yay for being out of the apartment! is so nice to have that phase done i'm sure so you can start all new memories. and savannah is just my FAV. i've only been once so i'm terrible at suggestions but i cant wait for photos! Congrats on being out of the apartment! I love Savannah and just walking around all the squares and down river street! The Savannah Candy Co. is a MUST! So exciting you are all in one place now! The overlap sounds super nice, but having things both places could be a bit crazy, too! Love to see more home posts! Have so much fun with your friend in town!! It's nice to have the time to move slowly but REALLY nice when it's finished. Best wishes! Have a great trip & fun exploring! Hae a great time exploring Savannah! Have so much fun going to Savannah with your friend! Playing tour guide with friends is always so much fun! Having a short turn around time to get out of our first house and into our second house was totally the worst, so I'm so jealous of your 6 weeks to move! Have a great weekend! That is so exciting that you are officially in your home!!!! I love when friends visit. Being a tourist in your own town is so fun! Have a blast in Savannah. The ghost tours are amazing there! I hope you have a great time in Savannah, no doubt you will! It's such a great city with amazing food! It's always fun to have friends visit! Enjoy! Congrats on getting everything moved out of the apartment! It's so much fun for you to have a friend staying with you, especially in a new place!